This historic site was a military training center during the Civil War and now hosts 80,000 fans on football Saturdays. Past alumni include NFL players Russell Wilson, Melvin Gordon and JJ Watt. 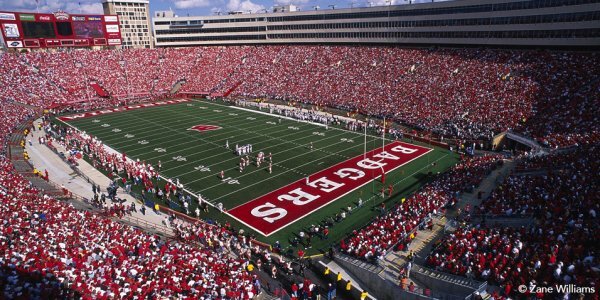 Visit Camp Randall’s Welcome Center for some Badger history, and stroll through the Hall of Fame for inspirational background information on the elite athletes who have attended the university. Don’t Miss: Your chance to take a photo in front of the Camp Randall Memorial Arch, a public piece of art that honors the troops who trained at Camp Randall. The Memorial Union Terrace was recently renovated, increasing its popularity among students, faculty and really everyone! 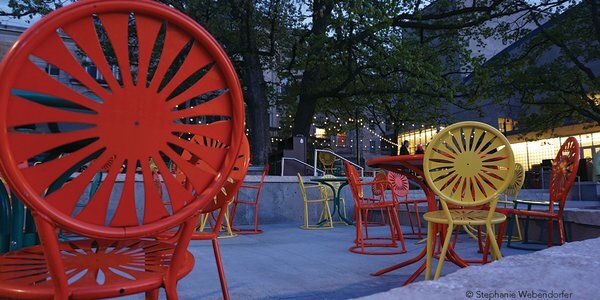 Situated on the shores of Lake Mendota, the “terrace” is the perfect meeting spot and THE place to relax and unwind. While there, check out Outdoor UW, where you can rent paddle boards, kayaks and more. Don’t Miss: The newly constructed Terrace Brat Stand, which is bigger and better than ever! Grab a plate, a brat and a cold beverage, and unwind in one of the iconic terrace chairs while taking in live music and beautiful lake views. The Wisconsin Institutes for Discovery (WID) showcases the University’s devotion to research, and the ways faculty, students and professionals come together to study various topics. On the first floor of the WID is the Town Center, which hosts interactive, family-friendly workshops on various Saturdays throughout the year. The WID also has two cafes: Steenbock’s on Orchard, and Aldo’s Café. Don’t Miss: One of the coolest features of the WID: fossils of ocean creatures can be found in the stone tiles of the floor! One hike up Bascom Hill and you’ll discover why the area is iconic. The beautiful scenery, steep slope and grand Abe Lincoln Statue combine to create the symbolic “core” of UW-Madison. The hill has been home to many historic moments, notably a visit from former President Obama in 2012 and ESPN College Game Day in 2016. UW-Madison’s devotion to green space is best exemplified through the numerous opportunities to be one with nature. The 1,260-acre Arboretum is a great place to stay active year-round, from snowshoeing in the winter to hiking in the summer. Allen Centennial Garden is a living laboratory and public botanical garden, serving as an outdoor classroom for students and the public. Nearby is the Lakeshore Path, a trail that winds around Lake Mendota. Don’t Miss: Picnic Point, a mile-long peninsula that ends with a panoramic view of Lake Mendota. UW-Madison houses its very own dairy plant, Babcock Dairy Plant, giving students hands-on experience in making ice cream, cheese and milk. Visitors can tour the plant and try the products, including the dairy hall’s 15 varieties of ice cream and 21 varieties of cheese. Don’t Miss: Your chance to take home some treats from the store. Classic favorites include Blue Moon, Butter Pecan and Orange Custard Chocolate Chip. 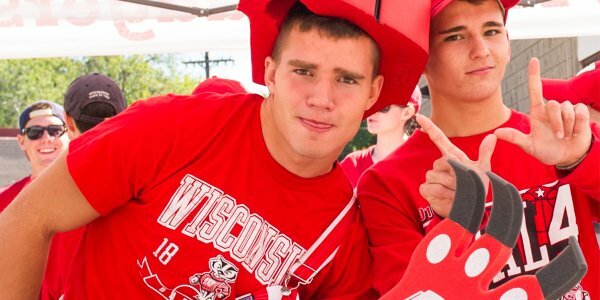 Commemorate your visit with some Badger gear! 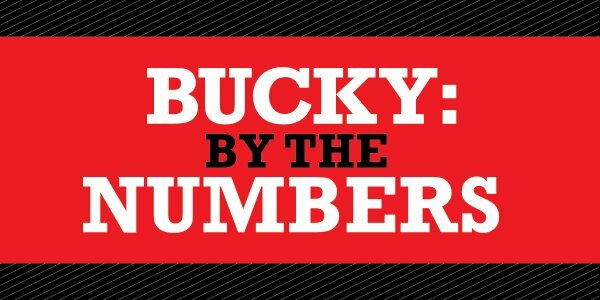 The UW Bookstore houses much more than text books—get everything from Bucky socks to cow socks at one of their two campus locations. There’s also a boutique shop on nearby State Street called Tailgate Clothing that offers quality, vintage collegiate and local Madison tees, as well as curated specialty items. Don’t Miss: The cute coffee shop in the front of the Tailgate store. Grab a cup of joe before you browse! The University’s Chazen Museum of Art is home to the second largest collection of art in Wisconsin and is free to the public. The museum has both a permanent collection and frequent temporary exhibitions, and trained docents lead group tours. Or, explore the Geology Museum, home to a 33-foot long Edmontosaurus skeleton along with other dinosaur reconstructions, mineral displays, fossils and a limestone cave. This museum is also free! Don’t Miss: Chamber music performances take place at the Chazen on the first Sunday of every month (except in January). The eleven concerts are also streamed live, making them accessible anywhere in the world! Union South is a staple of student living, but anyone can enjoy the fun! Check out The Sett, a three-level experience that offers food, live music, billiards, rock climbing and bowling, and also hosts the Badger Bash before each home football game. Union South is also where guided campus tours begin. 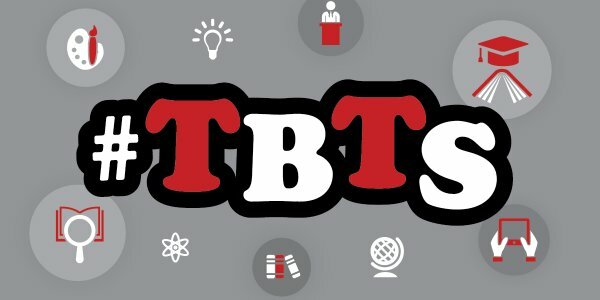 Don’t Miss: The more than 1,000 events the Union hosts throughout the year, from comedians and films, and concerts and lectures. Explore the Union’s event calendar for up-to-date information on thought-provoking, stress-reducing, fun-having events. For an overnight stay, make a reservation at the Graduate Madison, a boutique hotel located just a block from the university. The hotel shows guests good cheer with collegiate decor and a coffee and juice bar called Portage Pi. 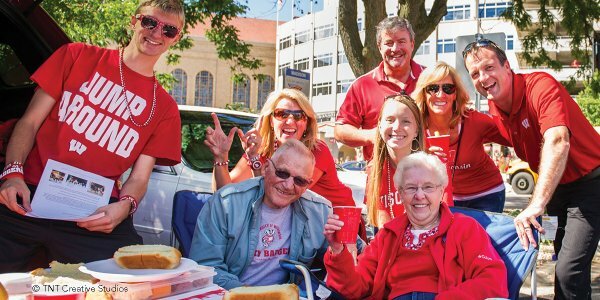 Or try HotelRED, an all-suite hotel located across from Camp Randall. While staying there, be sure to grab dinner and a drink at The Wise, home to classic cocktails and seasonal fare. Don’t Miss: Both of these hotels are located in neat neighborhoods filled with shopping and dining options. While at the Graduate, walk down State Street to experience how locals live. HotelRED guests love being situated next to Monroe Street’s shops and restaurants. Come cheer for the Badgers!